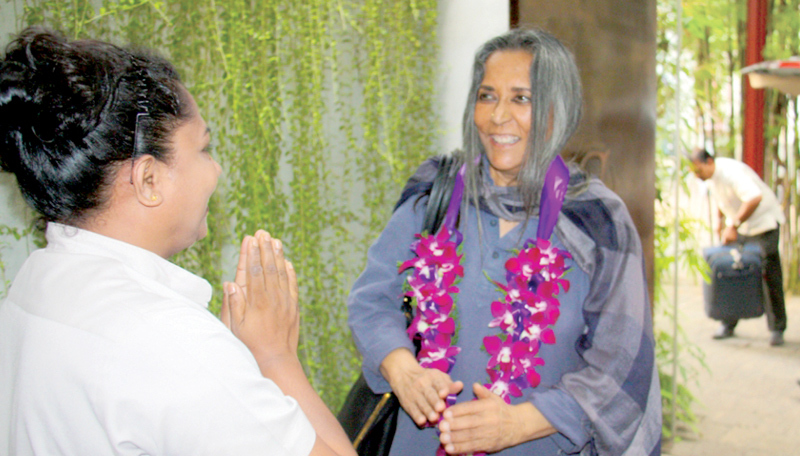 Deepa Mehta was at Colombo Court Hotel & Spa recently. Born in India, Mehta’s first film was “Sam and Me”. She is known as a ground-breaking screen writer, director and producer. Her emotionally resonating, award winning films are famous all around the world. She is also well known for her trilogy: Fire, Earth and Water. “The soothing environment fashioned by the hotel helps minds to dive in creativity. It’s our pleasure to make Deepa’s stay at our hotel a memorable one. We are extremely proud and happy to welcome the great film maker Deepa Mehta,” says the Colombo Court Hotel & Spa General Manager Wojciech Raus. Pleasingly situated in the heart of Colombo of magnificent pearl of the Indian Ocean-Sri Lanka, Colombo Court Hotel & Spa is a relaxing holiday destination and dining spot, where you can practice the allure of gastronomy bestowed with luxury, tranquility and ecstasy.